Isn’t it odd that fellow political science majors at Columbia University have no recollection of Barack Obama. Yet, the liberal media already published a report on Ted Cruz at Princeton, including an interview with his first roommate. 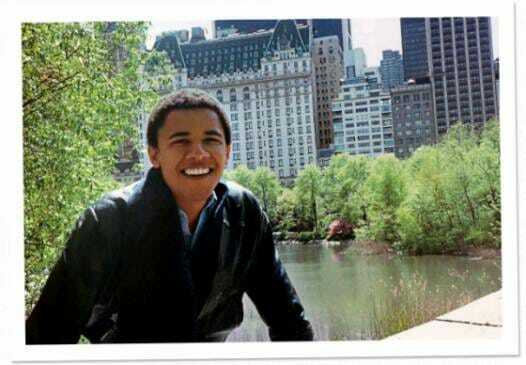 A photo of Obama at in New York City during his Columbia years – when no one knew him. It sure didn’t take the media long to dig up the goods on Ted Cruz. When Craig Mazin first met his freshman roommate, Rafael Edward Cruz, he knew the 17-year-old Texan was not like other students at Princeton, or probably anywhere else for that matter. By Mazin’s account and those of multiple members of Princeton’s class of 1992, the Ted Cruz who arrived as a college freshman in 1988 was nearly identical to the man who arrived in Washington as a freshman Republican senator in 2013: intelligent, confident, fixated on conservative political theory, and deeply polarizing. Professor Jacobson notes the DB’s offensive headline – something they would never dare do with Barack Obama.